As GM has pointed out before, people (mostly journalists and realtors) love to describe Georgetown as having cobblestone streets. But the amount of streets that are actually cobblestoned is really small. It’s really just O and P streets, west of Wisconsin, and one block of 34th St. below M. Asphalt covers the vast majority of streets. 35th St. is not cobblestoned. Maybe they mean the sidewalks are bricked? 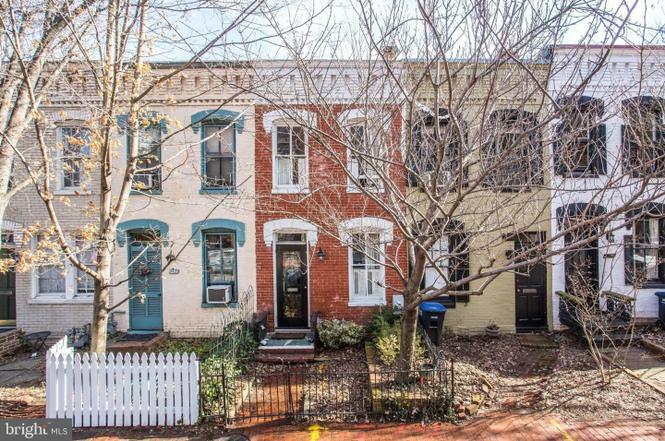 It’s probably not as bad as the listings describing homes built in the late 19th century as “former slave dwellings“, but it is wrong nonetheless. Unless of course we want to tear up the asphalt and uncover the cobblestones underneath! GM is all in favor of that! 35th between Prospect and M is cobblestoned isn’t it? The steep one-way street? 35th between Prospect and M is old ballast stones, not cobblestones. That is right, I forgot about that one block. And I would actually say that ballast stones are more accurately referred to as cobblestones than, say, O and P streets, which are really Belgian blocks or pavers.